I recently ran through the Meraki Masters program at Cisco Meraki HQ in San Francisco. I have to say the experience was pretty enjoyable. Meraki Masters is an invitation only session for select partners that provide a three day intensive training with Meraki product experts. The days started early and were fast paced. No scheduled breaks and we worked through lunch every day. They did feed us breakfast and lunch every day at least! Day 1 focused on the MX (Security Appliance) and MS (Switching) product lines, Big Wins, and some demo training. We did work through some advanced labs similar in style to the CMNA course. They also gave us a tour of the building showing the different departments. The HQ has a very tech startup feel. Game rooms, open floor plans, dogs walking around. The day concluded with a Happy Hour at Cisco Meraki HQ. The Happy Hour was a good chance to meet up with some Cisco Meraki AM's that cover differenct portions of my region. Day 2 focused on MR (Wireless), MDM, Back-end Engineering, demo training, and Support & Troubleshooting. Personally, I was most interested in learning more about MDM and wasn't disappointed. For every product, we had top tier product managers presenting on their topics. We got to ask questions and provide input on different products. Back end engineering was a great peak behind the curtain on how the Meraki product line works behind the scenes. The day finished with a team offsite event. Unfortunately I had to do some work and wasn't able to make it but it sounded like people enjoyed themselves. Day 3 was demo day. We were assembled in to multiple teams and provided a customer scenario. We worked together to create a presentation plan. Its funny to think about all these competing partners working together for a customer presentation. Overall everyone was very cool. We only had 1 guy on our team who wasn't a team player but everything worked out. During lunch we had a Q&A with executives. This was more interesting then I expected to be honest. At the end of Day 3 the best presentation received a special gift. The course was definitely focused on the presentation component. They give you the technical info you need and show you how to present like a Meraki SE. We now have access to special demo accounts that will help show customers all the options that Meraki has to offer. We also get to participate in Meraki Masters monthly engagement activities, quarterly check-ins with CAMs, exclusive calls with Meraki experts, marketing promotions, and beta testing of new products. I've already received an email on an interesting beta item I'm excited to check out next week. I also received the CMNP designation as part of the training. If you are interested in a free demo showing you how useful a Cisco Meraki Cloud Managed solution can be for your organization, let me know! How would I go about doing the meraki masters program in the UK? Do you work for a Cisco Partner? This was the focus for the Meraki Master Program. I know last year they brought everyone to Meraki HQ in San Francisco in California/US. This included out of country people. Do you work for a Cisco Partner? Check with your Meraki rep, I bet they can set you up. If not, let me know and I'll reach out to people. Hit me up on twitter @prorouting. I would like to attend this training. How do I get more information and sign up? 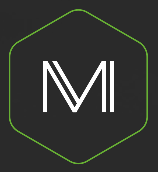 Hello Angel: Reach out to masters at meraki.com. Let me know if they don't respond. My company is a partner of cisco meraki. Recently they want us to train on CMNA. Does the organization in our company choose who will get CMNP or I can login to partners.meraki.com to register and get the training schedule for CMNP? For us, Meraki asked us to send someone to the masters program and I was asked to go. Not sure what they do now but I would email masters@meraki.com and ask them how your company can be included in the program. I'm going to try and make updates to this blog, mostly to document situations that I've run across in my consulting experience. This will benefit me as a knowledge base and hopefully others who run across this site. I'm a network consultant that works primarily with Cisco, VMware, and EMC products. I run U̶b̶u̶n̶t̶u̶ Mac as my primary machine so there may be related posts to that.